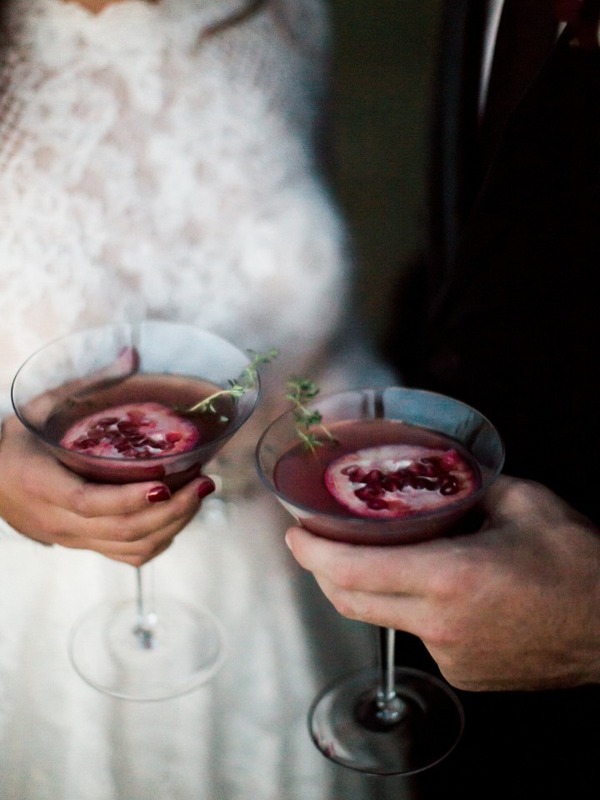 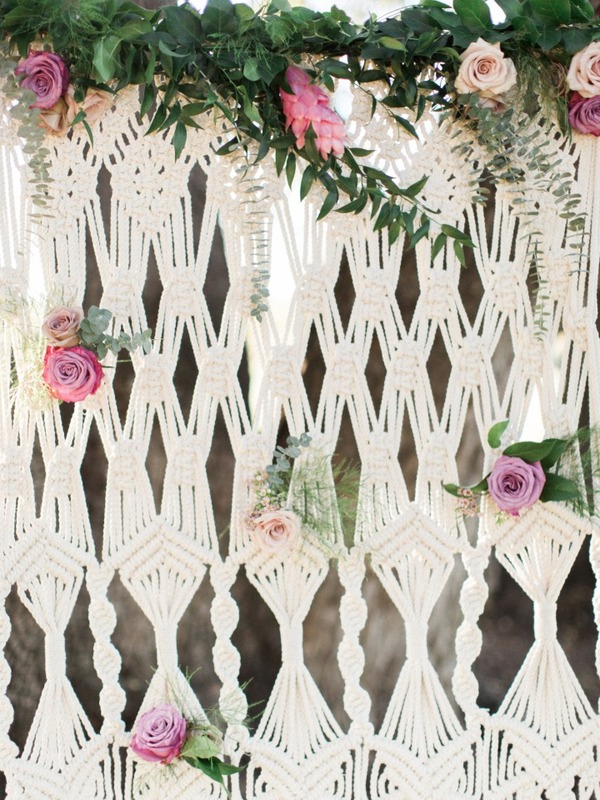 Looking for some unique summer wedding ideas? 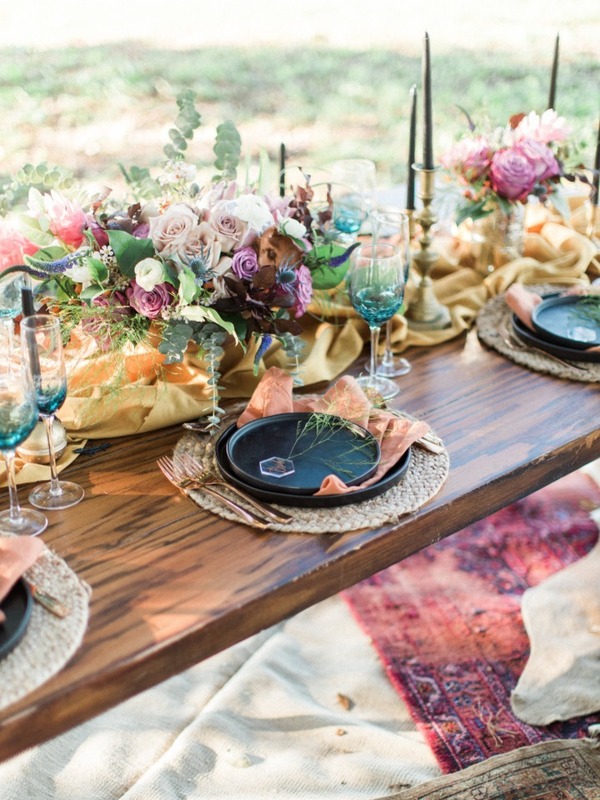 Well this jewel toned bohemian editorial is a great place to start. 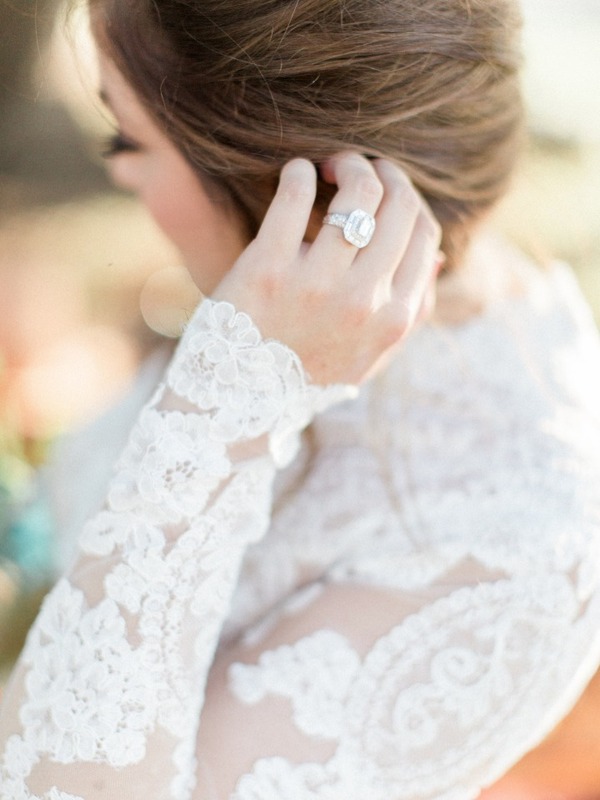 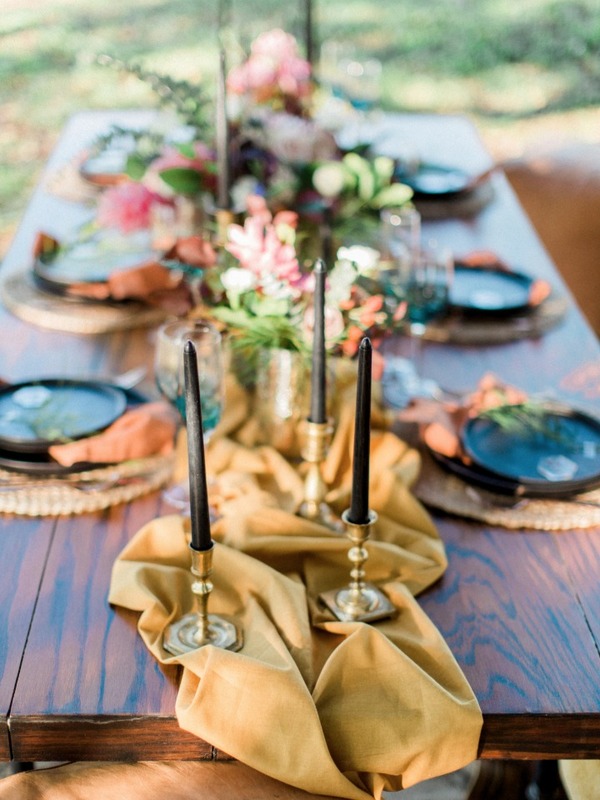 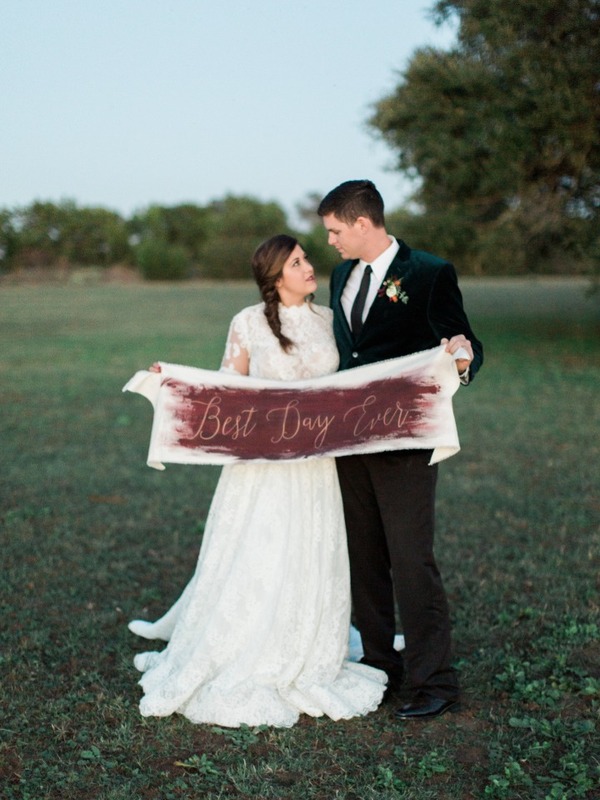 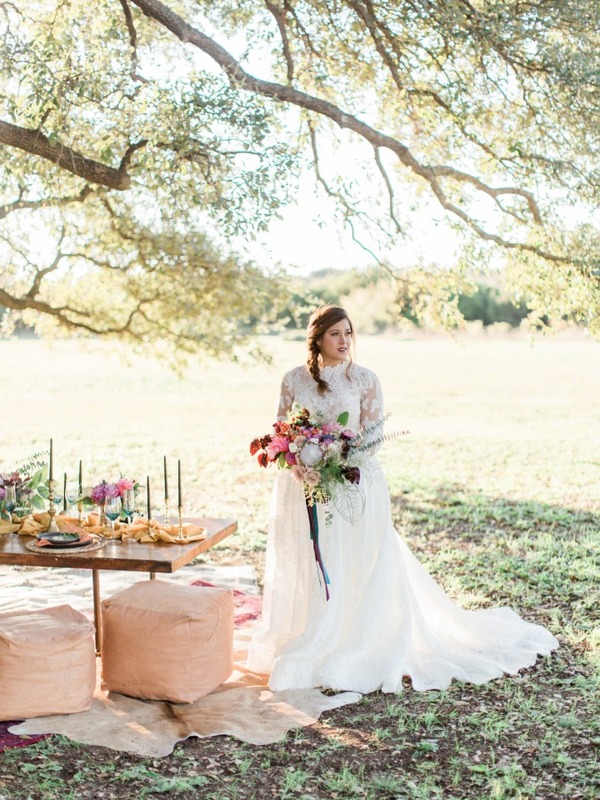 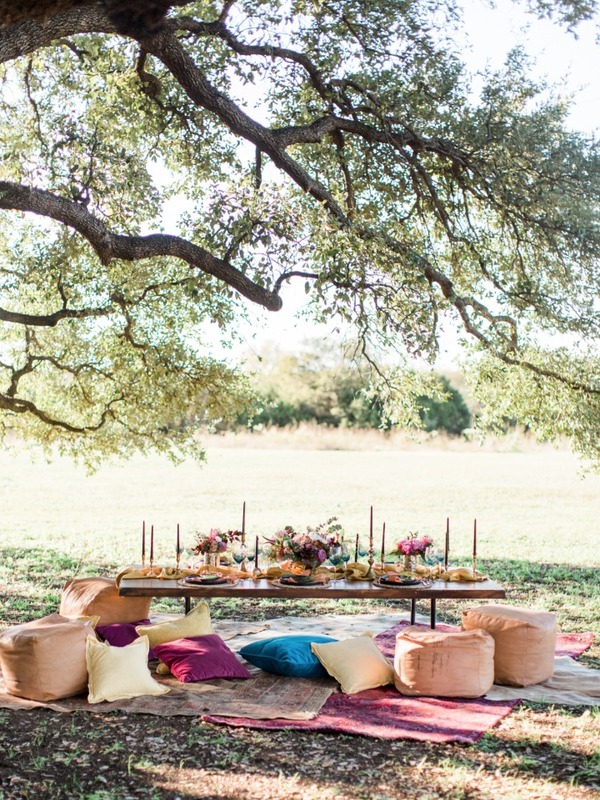 Kari Ellen Events + a team of talented vendors brought this shoot to life with boho inspired decor that’s overflowing with both color and texture at the lovely Five Oaks Farm in Texas. 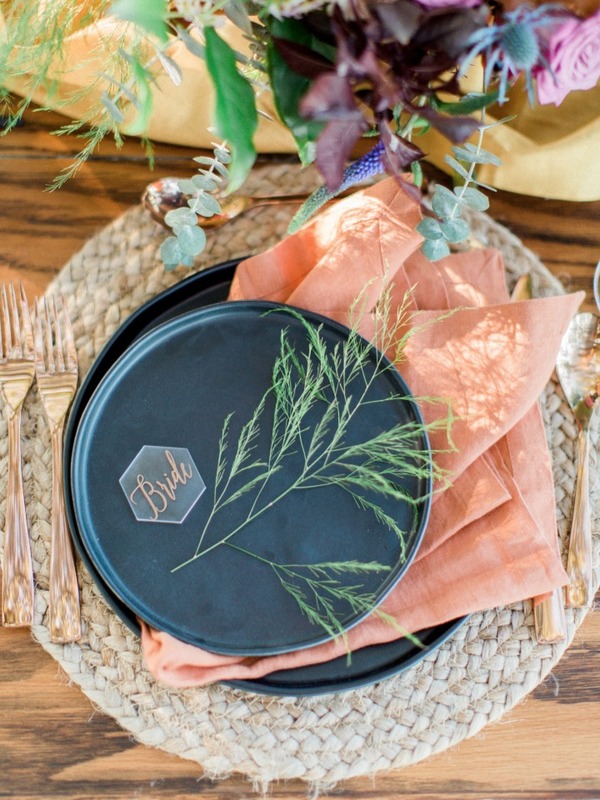 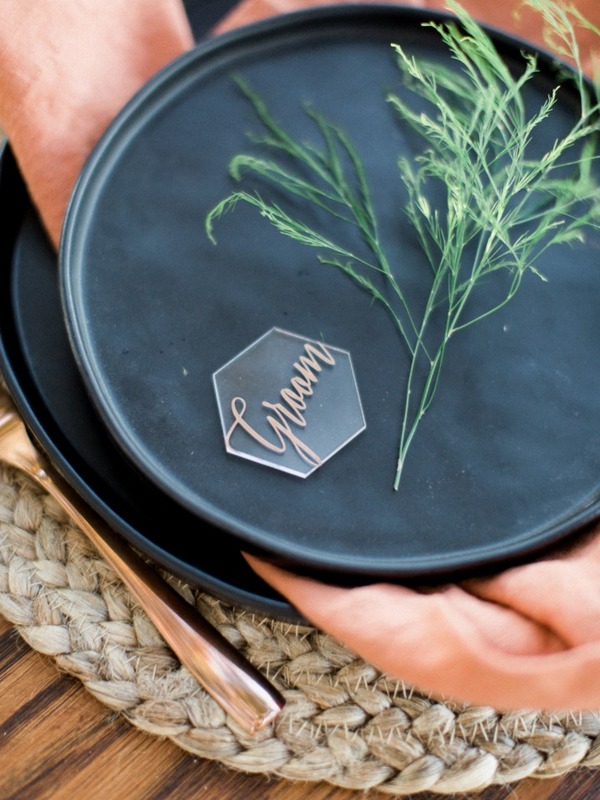 Pops of black and copper add a slight edge throughout that's both unexpected and beautiful. 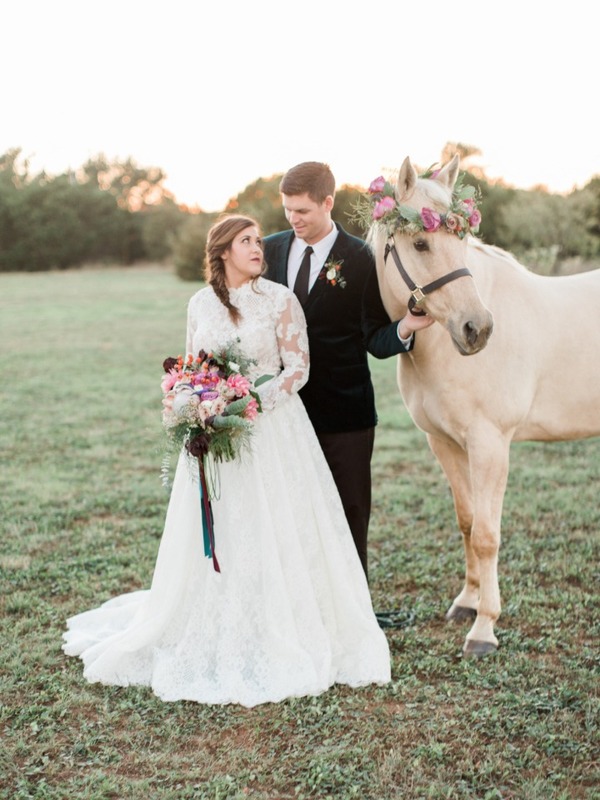 From the honeycomb inspired cake, to the adorable horse + flower crown, soak in all the must-see ideas captured by Tricia Marie Photography in the full gallery here. 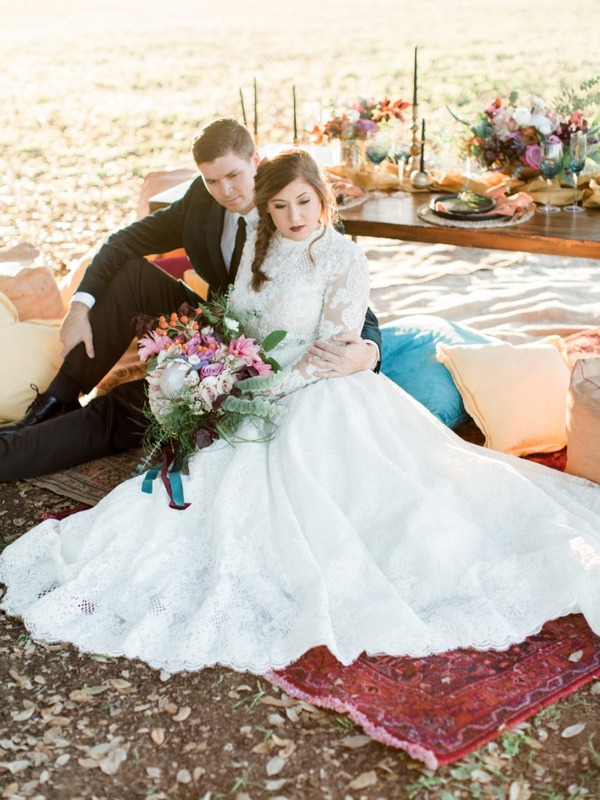 From Tricia Marie Photography: The moment Emma and Jacob got engaged, I knew they would be the perfect couple for this dreamy bohemian shoot. 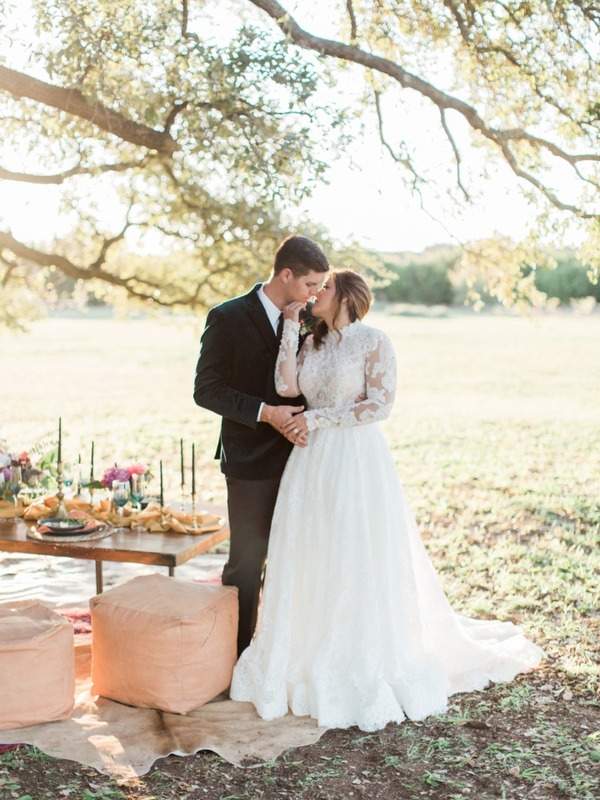 Their authentic love for each other had us all giddy! 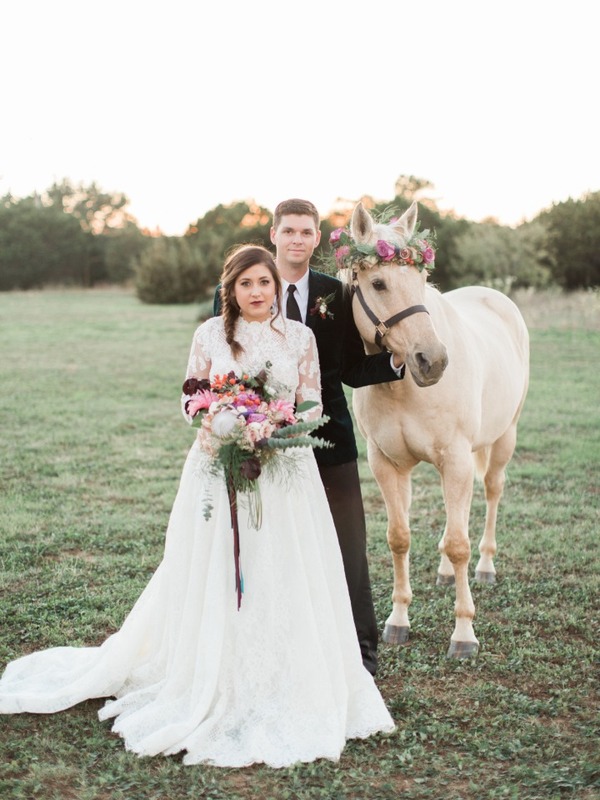 Learning that Emma owned a beautiful and photogenic horse only contributed to the overall feel we had envisioned. 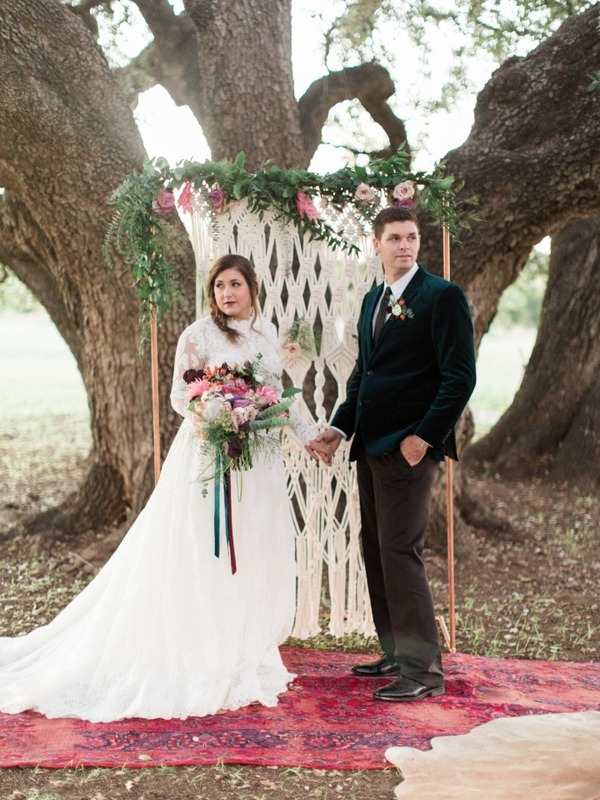 For the ceremony, a large macramé embellished with lush floral and greenery served as the backdrop. 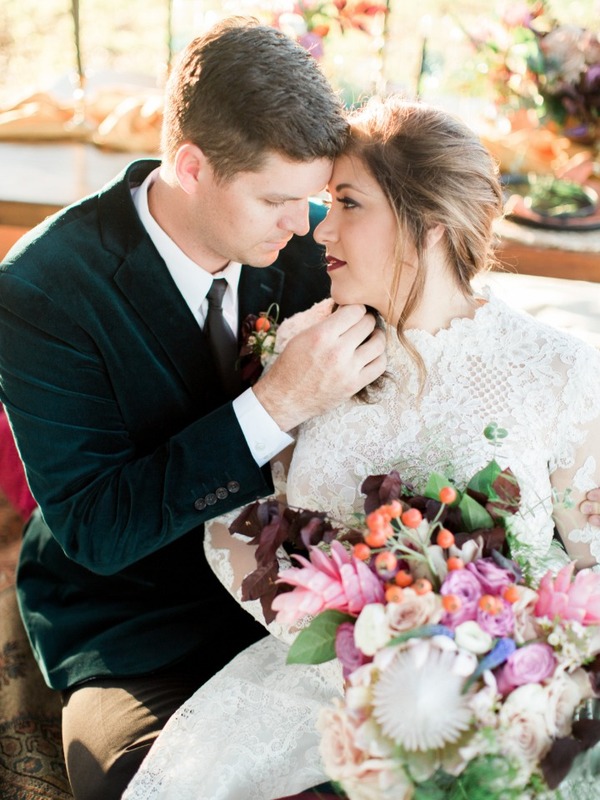 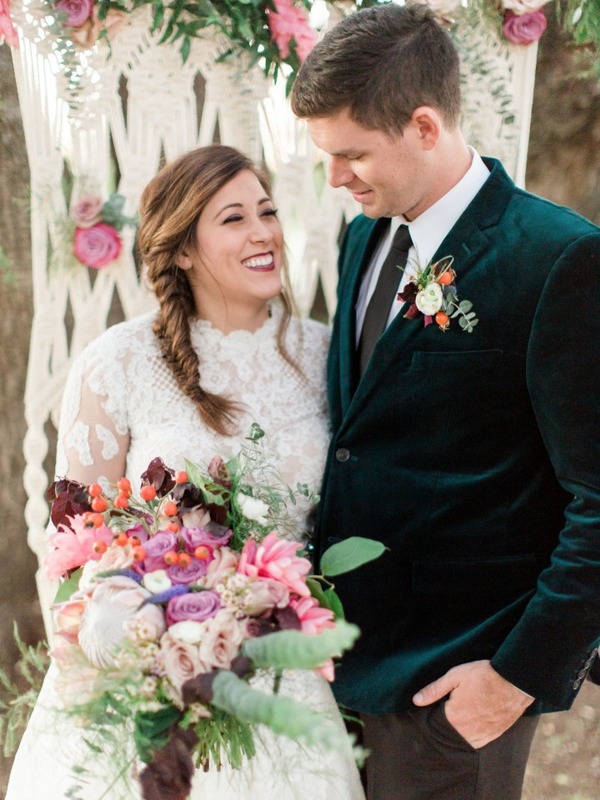 The high collared lace gown paired with the deep teal velvet jacket brought elegance to the free nomadic spirit of the vintage textiles and colorful palette. 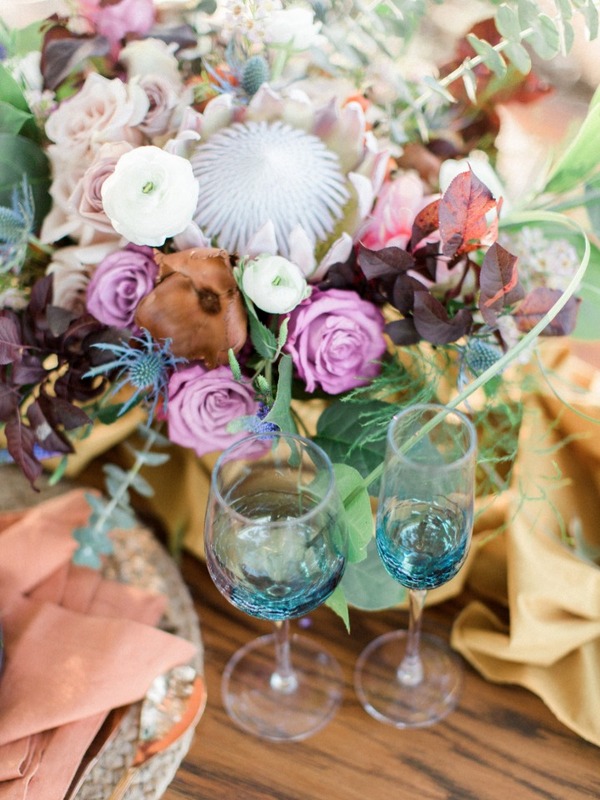 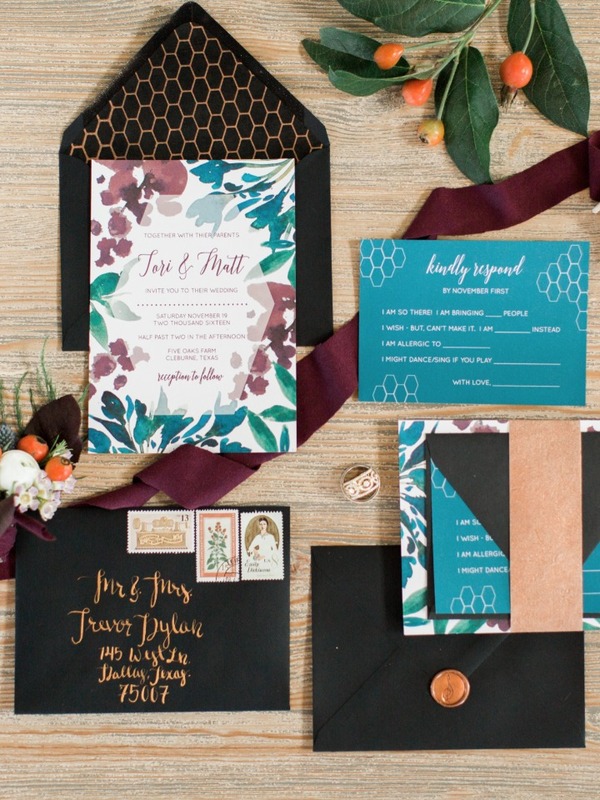 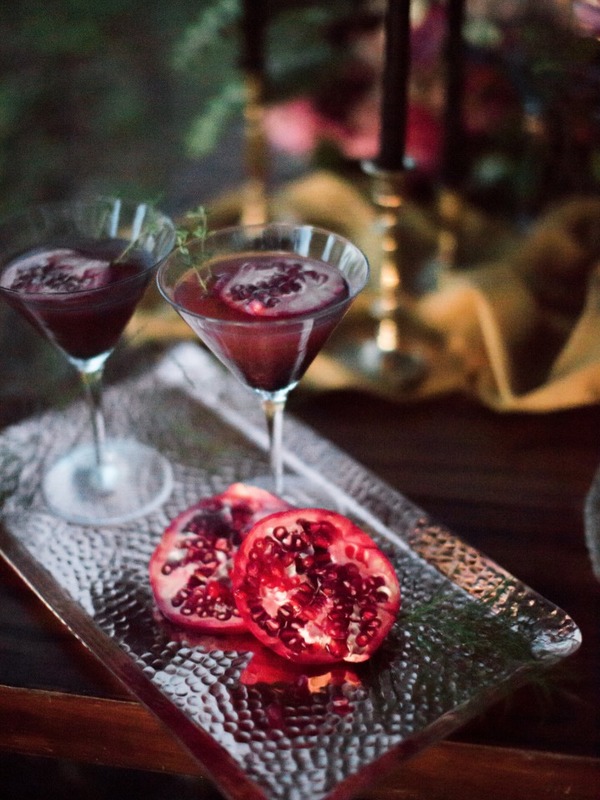 We incorporated darker marsala and teal colors to complement the other vibrant hues of the shoot. 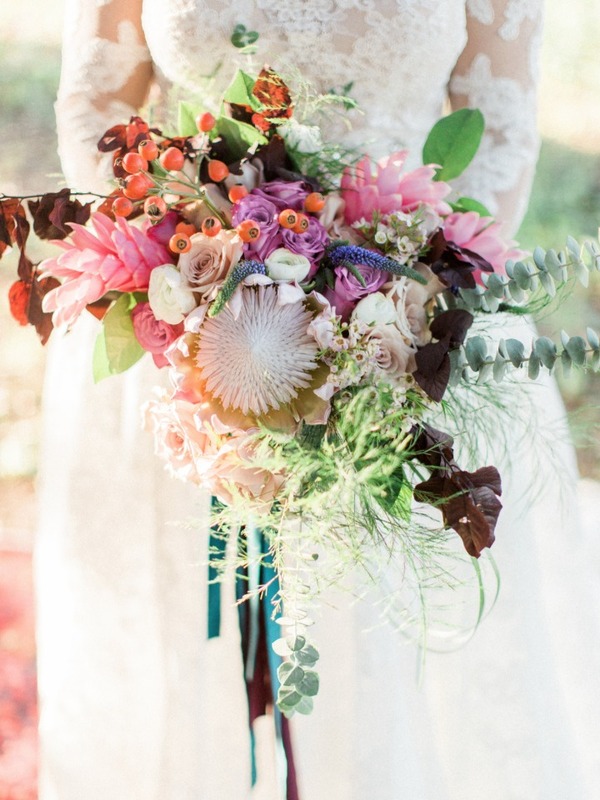 The king protea, ginger, and ranunculus featured in the bouquet make for the ideal bohemian combination and were carried over onto the tablescape. 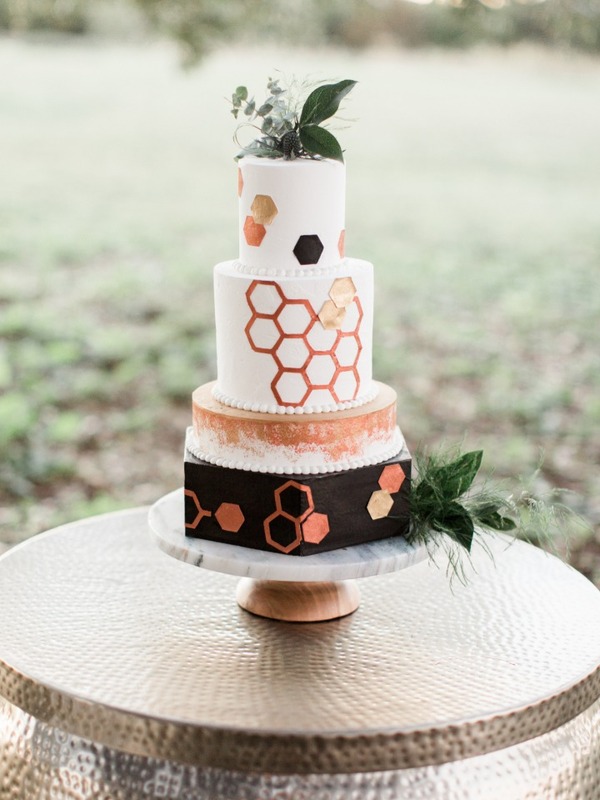 Black and copper details from the place settings highlighted the honeycomb details on the wedding cake and invitation suite, providing an edgy twist.